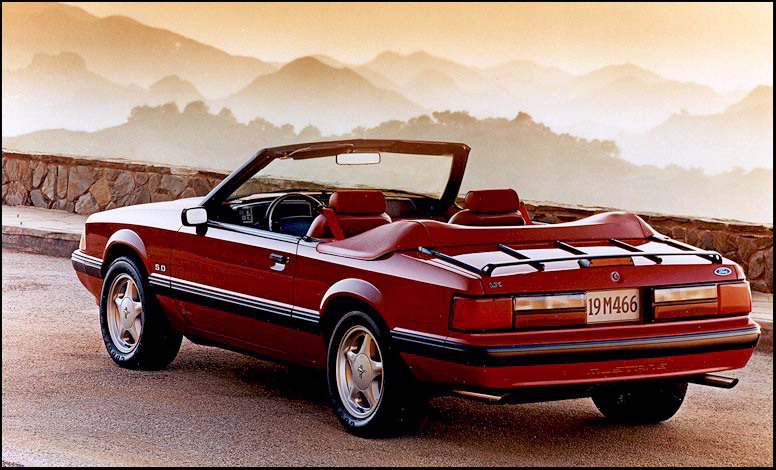 The 1991 Ford Mustang is nearly identical to all 1987 to 1990 Mustangs. 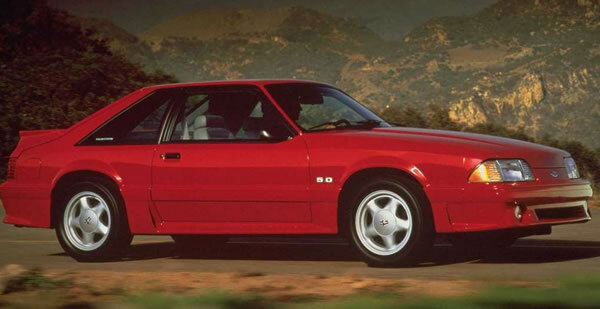 In fact, the only obvious change was the addition of a new 16 inch cast alumnium five spoke "pony" wheels. The pattern of lower Mustang sales continued this year dropping to the lowest mark in a decade. 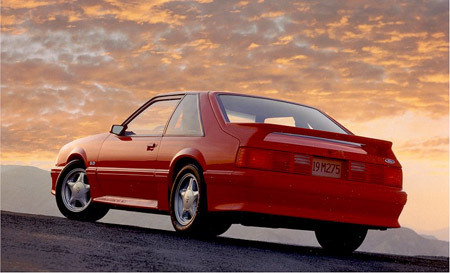 The exterior of the 1991 Mustang GT and optional on the LX used the new "pony" wheel pictured below. It measured 16 inch by 7 inches and features a Mustang log with red/white/blue tri bar in the center cap. 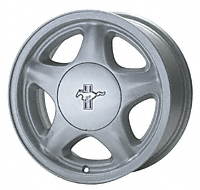 In later years the wheel was available in an ultra rare powdercoated white finish. Ford did remove the yellow exterior color option this year and introduced a new Titanium Frost and a new Medium Red.